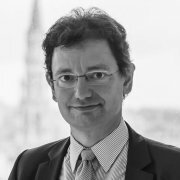 Nicolas Véron argues that there are two major oversights in Dr Schuknecht’s anti-European Deposit Insurance outburst, respectively about deposit insurance and about banking union. Last November, the European Commission published a proposal for a European Deposit Insurance Scheme (EDIS), which is currently being negotiated among EU member states. Yesterday, this elicited a response from Ludger Schuknecht, the German Federal Finance Ministry’s respected chief economist. While his objections to EDIS are not new, they have rarely been articulated with such clarity, at least in the English-speaking debate, and deserve careful consideration. As it happens, none of his arguments of policy substance is compelling. By contrast, the obstacles he highlights in terms of Germany’s politics and political economy are real enough, and will ultimately play a big part in determining the EDIS negotiation’s outcome. There are two major oversights in Dr Schuknecht’s anti-EDIS outburst, respectively about deposit insurance and about banking union. Correcting these would radically shift the balance of his arguments, and reverse his conclusions. First, deposit insurance. While it carries the same name, this policy does not raise the same moral hazard issues as, say, fire insurance or theft insurance. Trust in deposits is a fundamental layer of confidence that underpins economic activities in developed countries. When it is compromised, so is social cohesion more broadly. The EDIS would only guarantee deposits up to the European limit of EUR 100,000. No government would want to voluntarily trigger bank failures, including losses on uninsured deposits, and thus precipitate its own demise. Indeed, an EDIS would better align governments’ incentives with the financial stability objective than the current framework does. As Dr Schuknecht himself concedes, EDIS would mean that “central banks would not have to jump in with emergency liquidity assistance quite as quickly” as they have in the recent past, thus imposing more discipline on bank creditors and policymakers. Neither Mr Tsipras nor Mr Varoufakis advocated haircuts on uninsured Greek deposits last year. The idea that rogue politicians would annihilate financial activity in their jurisdiction for the sake of making the Germans pay is a case of worrying more about imaginary than real risk scenarios. Indeed, Germans should be more sensitive than most to the counter-arguments. The last bank run in Germany was in 1931, triggered by the collapse of Creditanstalt in nearby Austria, and played a role in the tragic developments of the following years. Postwar Germany has built an elaborate system of private and public institutional protections to ensure this doesn’t happen again, at the risk of creating a lot of moral hazard among the banks’ creditors. Since the onset of the financial crisis in 2007, numerous banks have failed in Germany, but not a single bank creditor, no matter how junior, has lost money on their claims – in contrast to most other euro area countries such as Austria, Cyprus, Greece, Ireland, Italy, the Netherlands, Portugal, Slovenia, and Spain. Savings banks protect each other, so do cooperative banks, and savings banks are often additionally cushioned by their public-sector stakeholders. Even private institutions benefit from mutual protection: a year ago, tiny Düsseldorfer Hypothekenbank was expensively bailed out by a national guarantee fund of the commercial banks, “in order not to damage the reputation of Germany as a place to do banking business.” Few countries are as committed as Germany to prioritizing financial-sector safety nets over theoretical moral hazard arguments. Second, banking union. Dr Schuknecht’s article curiously ignores both the rationale for it and its new realities on the ground, as if the author wished to hark back to a pre-2014 era when banking systems were essentially national. 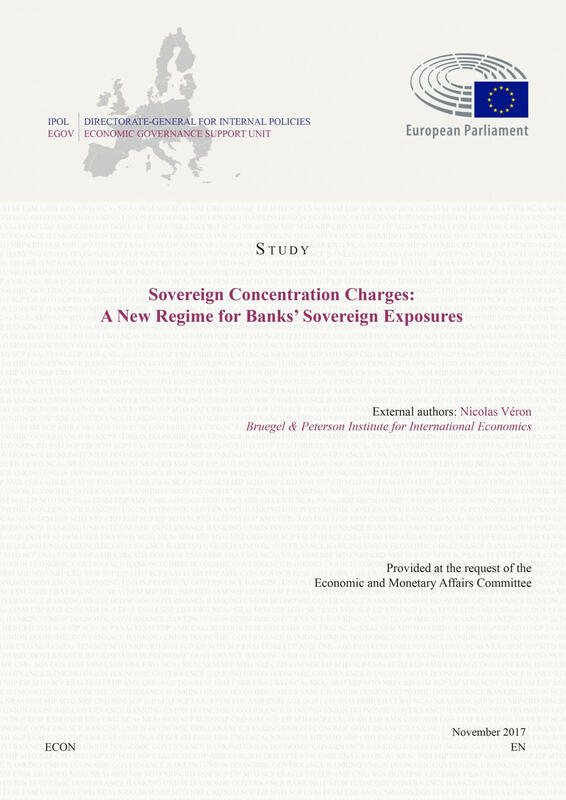 The motivation for banking union, including the creation of the Single Supervisory Mechanism (SSM), was the objective to break the vicious circle between banks and sovereigns, under which the euro area was at a serious risk of break-up at the time (mid-2012). The SSM was reportedly first proposed by no other than German Finance Minister Wolfgang Schäuble. When Dr Schuknecht implies that the SSM will be unable to enforce sound capital discipline because “national supervisors will always remain important,” he underplays his Minister’s achievement in fostering a broadly robust and credible SSM that is now the licensing authority for all banks in the euro area, not only the larger ones. The German government also endorsed the Single Resolution Mechanism (SRM), a construct that is arguably less robust than the SSM but entails a significant degree of risk-sharing, including a late-2013 common “Statement of Eurogroup and ECOFIN Ministers on the SRM Backstop” (available here). In the latter, Dr Schuknecht’s Ministry committed to a common fiscal backstop to support the SRM in future extreme crisis situations, even though the backstop’s practical features remain undecided. If anything, this creates more moral hazard and awkward incentives than the implementation of EDIS would, including in the unlikely but still possible case that the common fund would run empty, because of the inherently less narrow and more discretionary nature of resolution financing as compared with deposit insurance. The continuation of national deposit insurance perpetuates the highly destabilizing bank-sovereign vicious circle in the euro area. A resilient banking union needs an EDIS, as countless economists but also the International Monetary Fund and European Central Bank have insisted, together with the European Commission. Without an EDIS, national budgets remain the backstop for national deposit insurance schemes that rely principally on the quality of European-level supervision – a potentially more damaging misalignment of incentives than the ones Dr Schuknecht denounces. Most basically, the continuation of national deposit insurance perpetuates the highly destabilizing bank-sovereign vicious circle in the euro area, as last year’s developments in Greece illustrated once again. By omitting to even mention the existence of the bank-sovereign vicious circle, Dr Schuknecht lags well behind his employer, let alone the broader European policymaking community.While not all points in the German non-paper were convincing, it was right to push for a balance between the “risk sharing” device that is EDIS and other measures that should improve the banks’ risk allocation and management, now widely though somewhat misleadingly referred to as “risk reduction” (we don’t know enough about the future to assess risk that objectively). This should entail, in particular, vigorous action to dismantle the currently massive concentration of home-country sovereign risk in many euro-area banks’ bond portfolios. 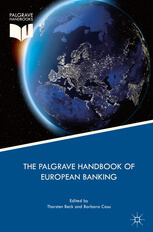 It should also include measures to improve the banks’ accounting, auditing and disclosure frameworks to enhance market discipline; more regulatory harmonization, as the SSM has started to promote with its action on so-called options and national discretions; an end to harmful ring-fencing of capital and liquidity across national borders within the euro area, which prevents geographical diversification; a single bank insolvency regime enforced by a European bank insolvency court, mirroring the SRM; and even further on the horizon, some harmonization of the taxation of banks and banking activities in the euro area. Not all of these can be achieved immediately, but the German idea to frame EDIS as part of a broader policy package is apt. By implying that any deal that includes EDIS is worse than the status quo, Dr Schuknecht ignores this promising dynamic. The broader political challenge is the willingness of the German public to accept further risk-sharing with euro-area neighbours. It is not a legal issue. The nub of the matter lays elsewhere – in current German domestic politics and political economy. 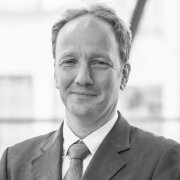 The EDIS proposal would create challenges for Germany’s idiosyncratic pillar-based systems of deposit insurance, namely those for politically influential savings banks and cooperative banks which Dr Schuknecht refers to obliquely as “the existing guarantee systems in certain countries” – actually such autonomous sub-national systems are now a unique German feature. The broader political challenge is the willingness of the German public to accept further risk-sharing with euro-area neighbours. It is not a legal issue. 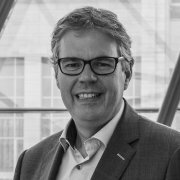 Dr Schuknecht’s insistence that the EDIS proposals are legally unsound or would require “the approval of all countries [instead of qualified majority] and changes to the European treaties” contradicts Germany’s past approval of the SRM Regulation of 2014, which is based on the same legal framework of the Internal Market as the EDIS would be. Rather, the problem is, as Dr Schuknecht writes, “the political risks arising from the mutualisation of liability.” But in truth, this mutualisation is inherent in the German Chancellor’s oft-repeated insistence that the integrity of the euro area must absolutely be defended. The real debate is not abstract, about mutualisation or no mutualisation in a single currency area, but practical, about how to minimize perverse incentives, moral hazard, and risks to financial stability. From that perspective, and even with awareness of the undeniable reticence of German local banks and of significant parts of the German public, the adoption of EDIS would be an important step forward. Disclaimer: as always at Bruegel, this blog post expresses a personal opinion of the writer and can in no way be described as an institutional position of Bruegel. The German Finance Ministry has generously and continuously contributed to Bruegel’s funding and governance since its creation in 2004. Many EU-level reports have highlighted a European Deposit Insurance Scheme (EDIS) as a necessary component of banking union, but none of these options has met sufficient consensus among euro-area countries. The authors of this blog propose to end the deadlock with an EDIS design that is institutionally integrated but financed in a way that is differentiated across countries. On 19th June, we are hosting an invitation-only workshop on sovereign exposure limits. How will Europe's banking system respond to future challenges? After the financial crisis, the EU has taken measures to create conditions for a safer banking sector. One of the key measures to do that is the creation of the banking union. How successful has the implementation of the new framework been so far? How will issues in the Italian banking sector be addressed? And how will Brexit change the European banking sector? Statement prepared for the European Parliament’s ECON Committee Public Hearing of 23 May. EU-wide security of savings must be considered in order to take banking union seriously. Banks' holdings of government bonds must be limited. What options for European deposit insurance? The aim of this blog post is to clarify different options of how to organize European deposit insurance without yet settling on the best option. We aim to explain and to highlight what different options can and cannot achieve. We end by drawing some tentative conclusions on potentially adequate quid-pro-quo measures for different forms of deposit insurances given the problem of transition.